Indonesia’s island of Bali is a very popular tourist destination. Famed for its long stretches of sandy beaches and great surfing spots, you may be surprised that there are also many other things to do in Bali too – there really is a lot more to this gorgeous island than first meets the eye! Once you move away from the major resorts you will find yourself in some spectacular natural scenery and it is easy to see the traditional ways of life. 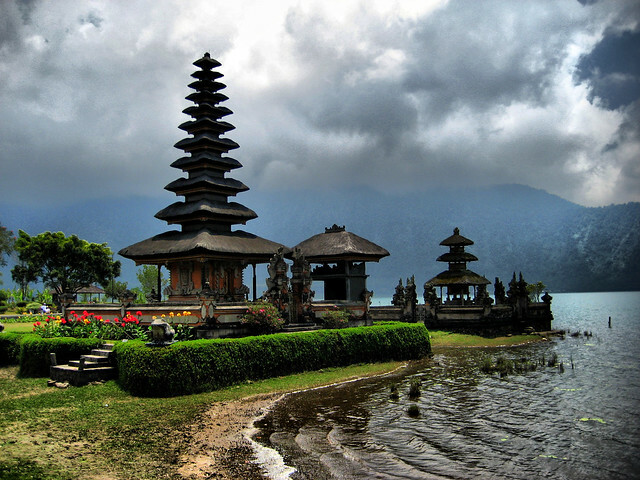 Bali offers beaches, craggy cliffs, volcanic hills and mountains, rolling rice fields, and well-laid out rice terraces. Add to that a unique and interesting culture, a strong sense of spirituality, numerous sacred places, historical attractions, nature, activities galore, and a thriving arts’ scene, and it is easy to see why Bali is often referred to as the Island of the Gods. Bali has a multitude of temples right across the island. Indeed, each village has at least three! It would be impossible to see all of Bali’s fine temples on a visit, but it is easy to get around the main ones. There are nine major temples that make a great starting point. These are the largest and the most important to Balinese people. Besakih is the ultimate number one temple of importance on Bali. Referred to as The Mother Temple it is located high on the side of Mount Agung. It is actually a complex of several different spiritual areas, and as you climb up through the different parts it is hard not to be impressed with the high levels of detail and the stunning views that come from being so high up. It is a popular place for pilgrims and is always very busy. Tanah Lot Temple, sitting on a rocky outcrop in the middle of the crashing waves, is another popular destination for visitors. It is especially recommended to visit at sunset when the temple is silhouetted against the changing colours of the sky. The other main temples on the island are Uluwatu Temple, Goa Lawah, Pasar Agung, Ulun Danu Bratan, Ulun Danu Batur, Masceti Temple, Luhur Batukaru, aand Lempuyang Lehur. Visitors are reminded to remember to dress appropriately when visiting any of these deeply spiritual sites. There are numerous surf schools around the southern beaches, as well as plenty of other water-based activities such as swimming, snorkelling, diving, banana boating, jet skiing … and more! You can also simply relax in the sun on the sandy beaches, although they can be very busy! Kuta is one of the most well-known beaches, although it isn’t necessarily the nicest! Some other beaches for surfing include Legian, Seminyak, Canggu, Keramas, Sanur, Padang-Padang on the Bukit Peninsula, Masceti, and Medewi. All of the mountains on Bali are volcanic, some more active than others! There are also those that have been dormant for a long time and those that are now extinct. 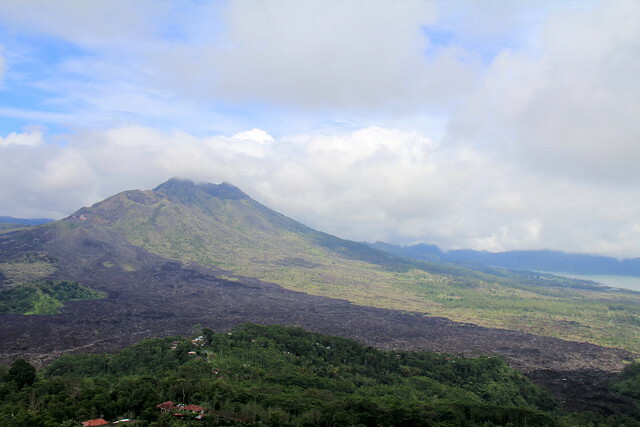 One of the most active, and therefore most interesting for visitors is the majestic Mount Batur. It is always smoking and regularly emits large clouds of ash. You can climb the volcano in just a couple of hours, but make sure that you pay attention to any safety warnings and guidance. Mount Agung (where you can find the Mother Temple) is another popular volcano to climb. It has not erupted for more than 50 years. Other great things to do on Bali include taking it easy and enjoying the views over the rice terraces, soaking up the arty vibe in relaxed Ubud, taking a coffee tasting trip, sampling the legendary nightlife, and treating yourself to some blissful TLC in one of the many luscious spas. I really want to go to Bali as some of my friends have gone there and they recommended me highly. But I wasn’t quite sure of which places to go and what to see. But all my queries ends here. I would really love to go to these places for sure. Thanks for sharing.